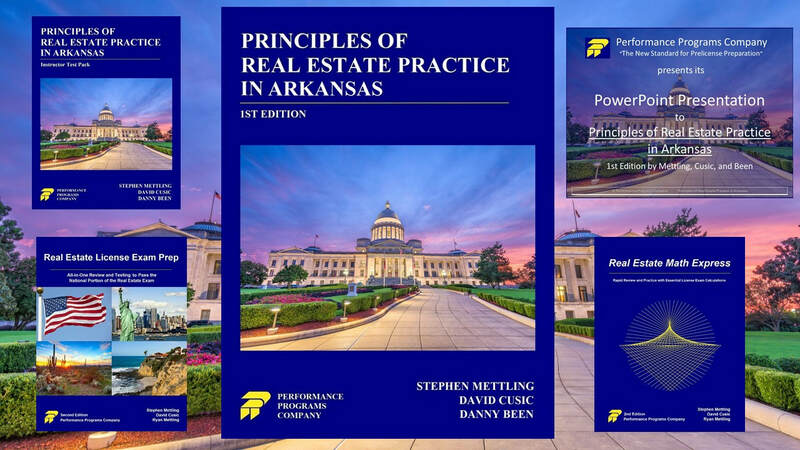 Principles of Real Estate Practice in Arkansas contains the essentials of the national and Arkansas real estate law, principles, and practices necessary for basic competence as a real estate professional and as mandated by Arkansas license law. It is based on our highly successful and popular national publication, Principles of Real Estate Practice, which is in use in real estate schools nationwide. Principles of Real Estate Practice in Arkansas is streamlined, direct and to-the-point. It includes multiple learning reinforcements. It has a student-oriented organization, both within each chapter and from chapter to chapter. Its examples and exercises are grounded in the authors’ many years in real estate education. 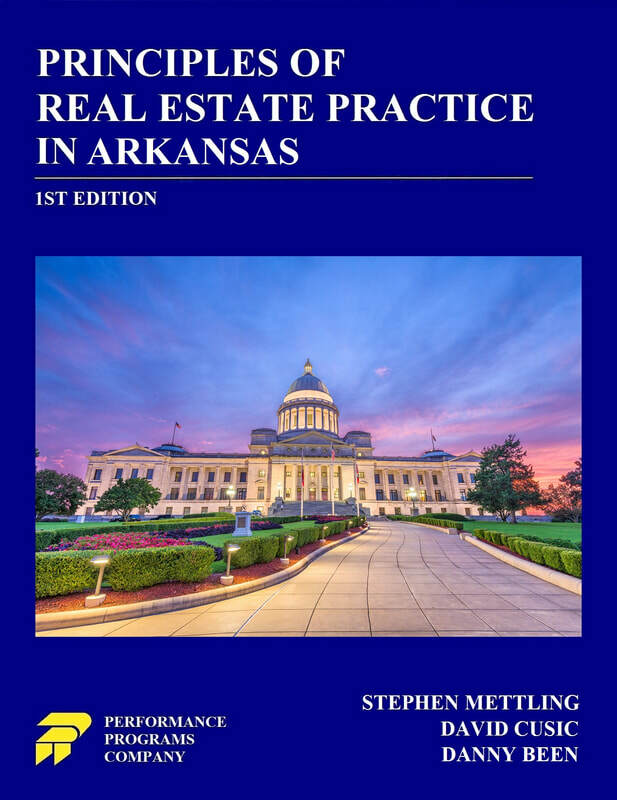 Call or write today for your complimentary copy of Principles of Real Estate Practice in Arkansas by Mettling, Cusic & Been. Find out why more and more schools are switching to Principles of Real Estate Practice in Arkansas! Danny Been over the past twenty years has served as the Founding Director, Principal Instructor and curriculum developer for the Arkansas Real Estate School headquartered in Little Rock. , Mr. Been is also the Principal Broker for DANALI Real Estate, Inc.